By wireless signal all over your home: you can conveniently control the lighting with wall transmitters in a number of flexible locations or by remote control – with a hand transmitter or your Smartphone – using the eNet wireless standard. At the same time eNet also lets you combine the operation of your shutters and blinds with this and create whole comfort scenarios. Also ideal for retrofitting! 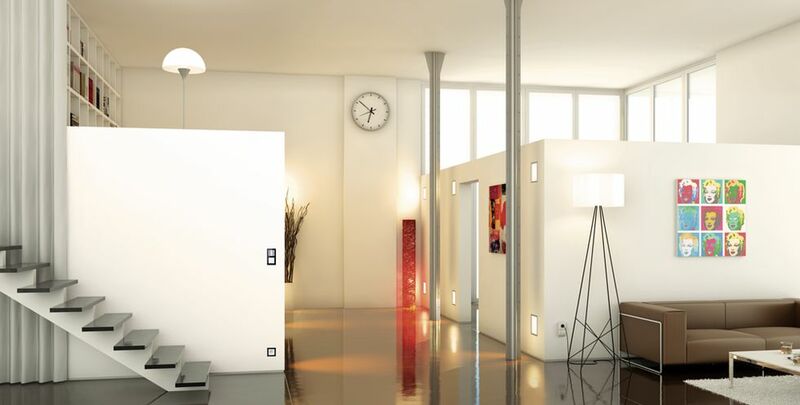 The intelligent way to switch lights: with KNX building technology, lighting control has never been more convenient! Whether by pressing a button, touch screen or with a mobile app, as part of the intelligent KNX system you simply network your lighting control with the other functions of your building technology and thus enjoy the highest level of living comfort.